The band’s name, Boom Sonic, was chosen by mistake. While rehearsing the song titled Sonic Boom. One of the group members said Boom Sonic instead of Sonic Boom. The twist of words made for an interesting name for the group and it stuck. Trey Choice, Mitch Romney, Dallen Gillett, Ryan Secules, and Chris Kling make up the group called Boom Sonic, and they performed Sonic Boom at the Craig Talent Show the evening of Saturay, April 21st. The group made up of two tubas, one trumpet, one trombone, and one drummer, put on quite a show for the city. The group’s lively mood and upbeat energy received a rousing ovation from the audience. Boom Sonic was originally organized by Trey Choice, who plays tuba for the group. “Before we made this group for the talent show, we played together as a brass quintet, but the addition of Mitch on drums was new for us,” said Choice. The group only practiced the song five times before performing Saturday evening. “We hadn’t practiced much, so we were all pretty nervous,” said Kling, the trombone player. Yet despite their nerves and lack of preparation, the group pulled off their performance. “We kept changing the song arrangement so we weren’t sure it would sound good, and we definitely weren’t expecting such a good response from the crowd,” said Gillett. 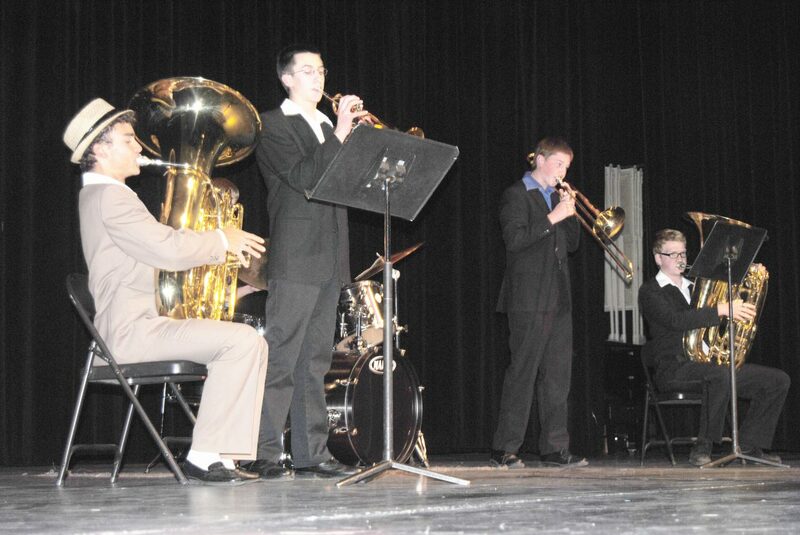 The Craig Talent Show takes place every spring in the auditorium at the high school. The show is open to the public. Auditions are submitted via video or a live audition in the auditorium. Boom Sonic plans to continue performing for community programs such as the talent show in the future.